I've made this card recently using Craftwork Cards and Stampin Up supplies I've won through a Facebook competition, yay! 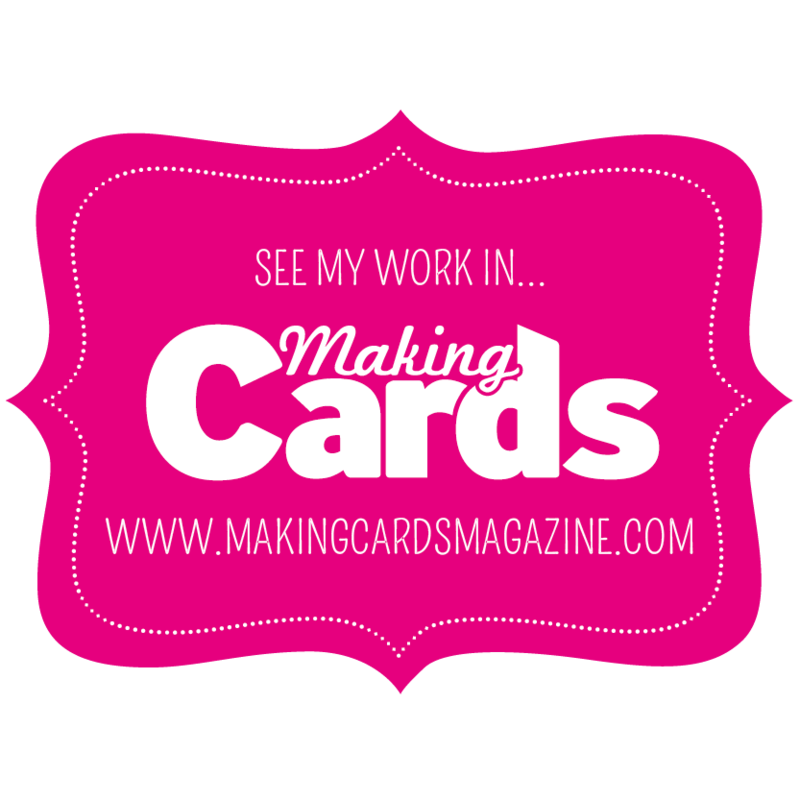 My cards are getting simpler due to my eyesight woes but I persevere. Honestly I can't believe I've reached half a century. For those of you who have been there you know the feeling: nothing changes and you kinda feel the same way as you did when you were 18 or thereabout. I was trying to remember all my good moments and bad experience that happened during my lifetime and yes, most of it is a total blur. I feel privileged to have reached this age milestone as it's not unfortunately afforded to many and also grateful that I have had a very good life, granted with very steep downs and hilarious highs but then I don't know if that was the fact that I'm bipolar or that I've experienced many countries and people. I'd like to say to my young self, if I could, that I would be ok at 14 when I was worrying that a new life in Italy, after living almost since birth in Québec (Canada) I would, after all, be ok forging new friendships and that I would reconnect with the lost ones I left behind in the near future thanks to social media. I wish I was there to comfort myself before I thought that was it when I was 18 and couldn't see any way out and the only option was to walk towards the light, thank you dear sis as you saved me that day with your quick thinking. I hope that I could be there to encourage my younger me in my twenties to believe more in myself, that I could do it despite the fears and uncontrollable panic attacks I didn't know I was going through as I thought then everyone had them; that the army spell would be almost a piece of cake, that taking the decision to move yet again, this time my choice, in another country would be a blessing. I so want to be there for my late twenties self to tell me the despite the sadness of a failed relationship and dropping out of uni, it didn't make a bad or worthless person. That new challenges would be there for me to tackle and that happiness was nearly round the corner. I need to remind myself that turning 30 was when I felt at last my 'real' age, that my exuberance and good nature would show through and that my kindness and almost pathological need to help others would not be in vain although burning out was inevitable because that's how people's souls protect themselves so one can take so many setbacks before one can truly feel that there's nothing out there for them and that life is a gift regardless of that inner despair. I finally want to say to my late thirties and forties self that healing takes time that the cocoon I had created physically and mentally was there for a reason, that regardless of all the successful people around me I was not a failure and that I am worth it ! So now what else is left to say but a big THANK YOU ! To my sister Stefania who's always been so supportive all my life despite the distance and an ocean that separate us. To Yvon who was my first true friend since elementary school and with whom I'm very glad to have reconnected so that a part of my French-Canadian displaced 'heart' could be mended. To David who has been there for the past 34 years as we met when we were teenagers; you liked Spandau Ballet and I liked Duran Duran yet we never allowed that to ruin our friendship and to make me endure my Italian 'experience' with ease as I used your place as my second home when things were tough. To Marzia who's my sister's best friend but secretly prefers me (ahahah) and keeping in touch after all these years...although she's very busy being a wonderful mum. To Gianni because you helped me discover the difference between what I thought being in love was and just having a crush meant so that I could be thrown in a new relationship with Dan that helped me really realise that I didn't know what real love was, after all, until later when I met the right person many years later. To my aunts: Marcelle, Lucie, Louise and sadly departed Jacynthe to give me so many lovely memories I'm still cherishing to this day. To my uncle Pierre who's genius was only met by his madness, yet you taught me so much. To my lovely Grandparents Germaine and Camille who will always be my 'beloved bacteria' (Microbes D'Amour). To my Italian Nonna Renata from whom I've inherited my artistic gene. 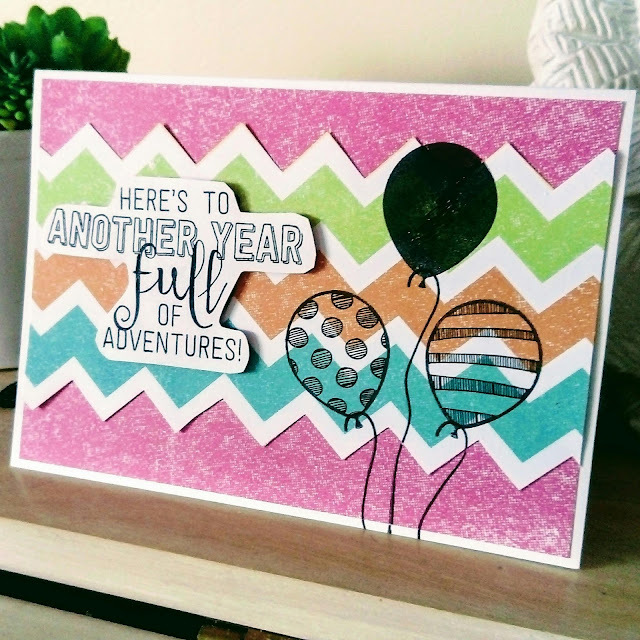 To Paula Pascual who was the first professional crafter I met together with Caz that fateful night at a stampin up evening and we've been friends ever since. 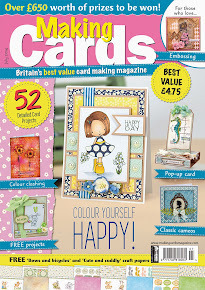 To Brenda Pinnick and Sara Naumann for having taken time out of their busy schedules to meet me on a day out in London. To Dawn Bibby for her demoes at QVC so that I could embark of this creative journey and to have never looked back ever since. 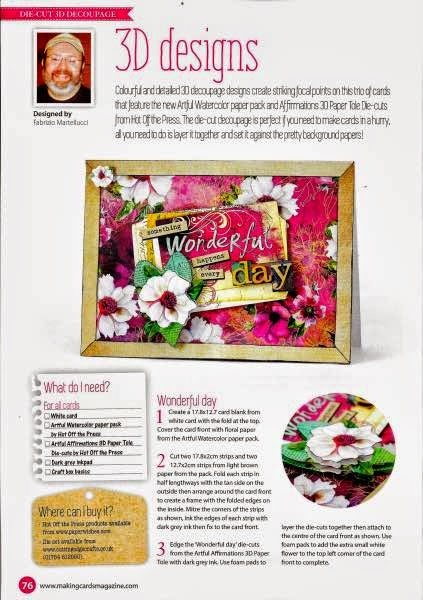 Also for making a wonderful day to remember at Olympia when doing her workshop. To Leonie Pujol and Carley Duff for that special evening tea for cancer workshop where I met the late Tracy and Paul, thank you for making it so special. 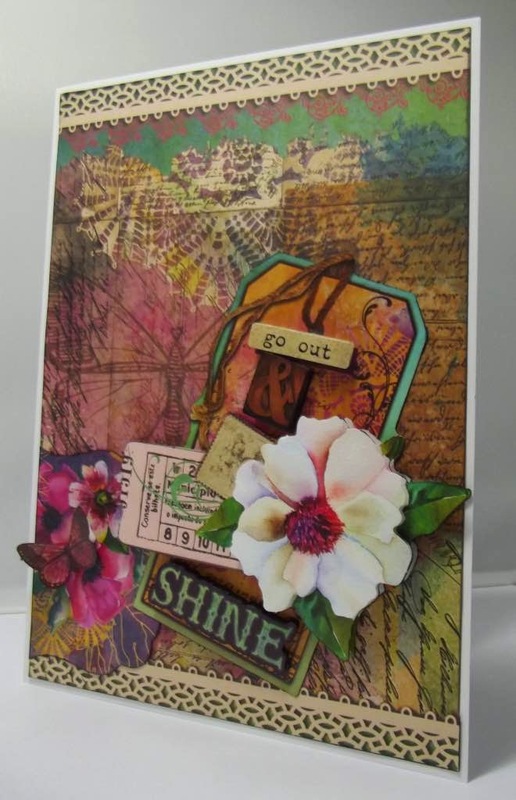 To Julie Hickey for being an amazing source of inspiration through her books I still have to these day. To Catherine Irving for being my shoulder to cry on and my constant support ! There are many others (too many in fact to list, let's face it the whole of Facebook I'm thankful for) who I need to be thankful for but my mind and memory is not assisting me, so please don't be offended, I really cherish the times we spent together and I'm honestly grateful. Finally a big thank you to Vince Ballard (my carer), for being there constantly as I wouldn't be here if it weren't for him taking this 'project' on, many moons ago that fateful day in 1999 ! I'm the luckiest man alive to have the honour to have met you and cherish every single moment together. 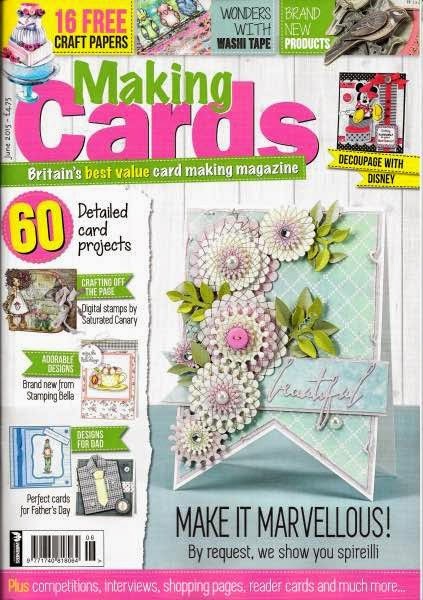 Super excited that three cards of mine have been published in the June issue of Making Cards. 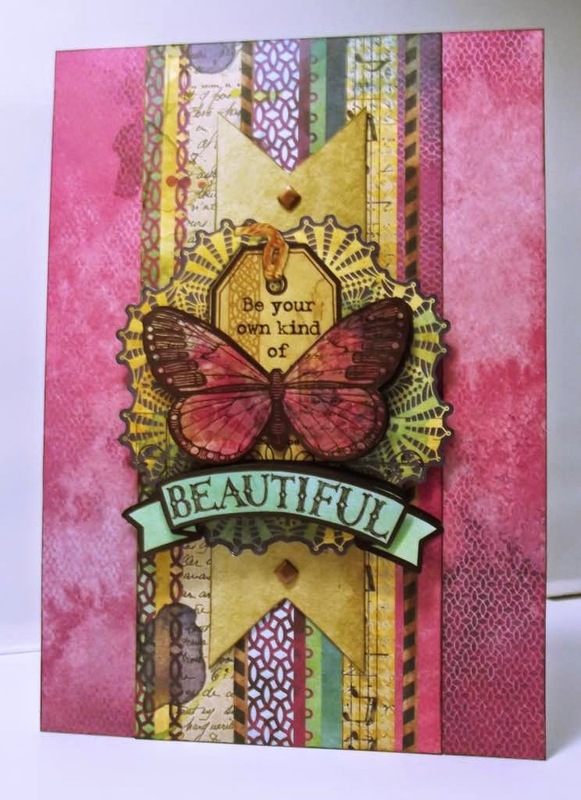 I've used the Artful Watercolor Double-Sided Scrapbooking Papers and Artful Affirmations 3D Paper Tole, both by Hot Off the Press plus fun frailest dies designed by Paula Pascual to shape a tag. Disclosure: I hope I made both companies proud using their products they kindly donated to me for this project. 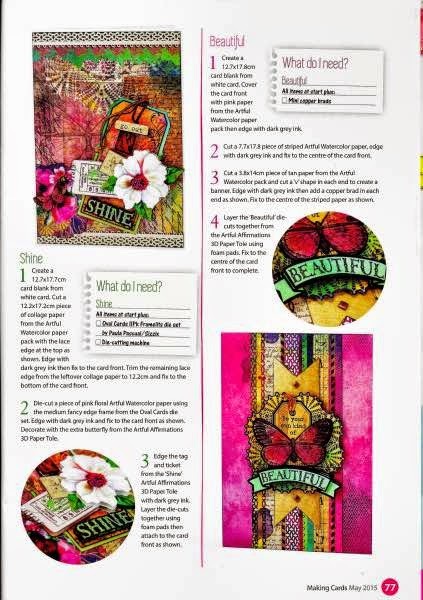 Here's a small scan of the feature in the mag, scanned a low resolution and small for copyright reasons. 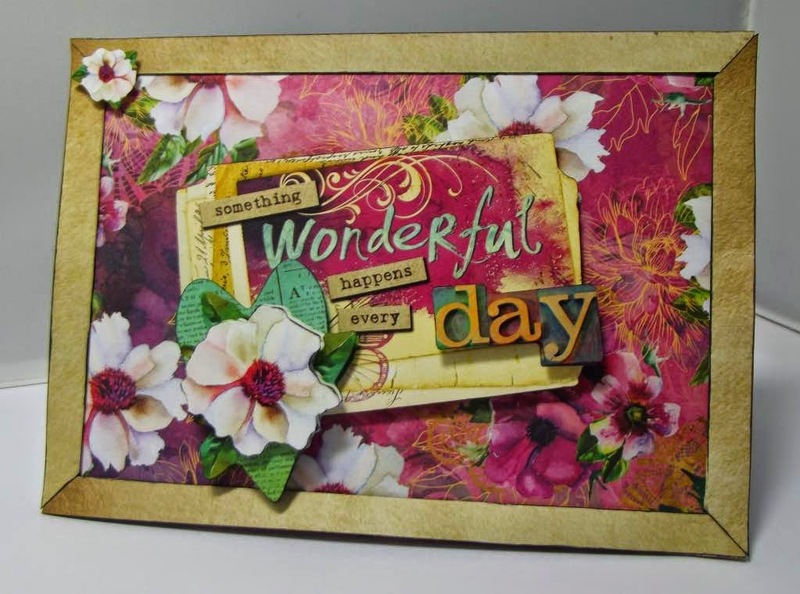 Dawn Bibby's Card made by Vince - Showing on QVC opening sequence today ! 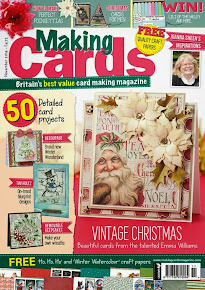 Got Published in Making Cards ! Craftingmad ©2013. Travel theme. Powered by Blogger.